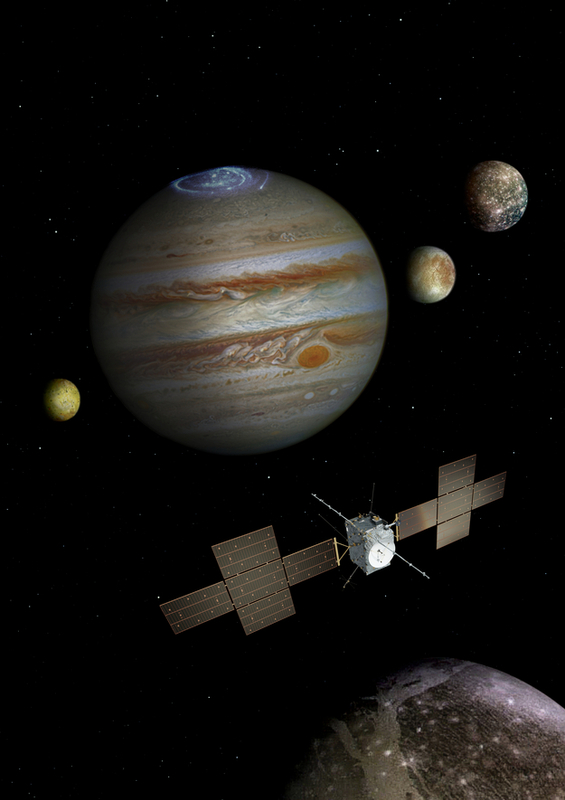 January 16, 2018 – ESA’s Jupiter Icy Moons Explorer – JUICE – passed an important milestone, the ground segment requirements review, with flying colours, demonstrating that the teams are on track in the preparation of the spacecraft operations needed to achieve the mission’s ambitious science goals. ESA’s contribution to the ground segment of JUICE consists of the Mission Operations Centre (MOC), which is based at the European Space Operations Centre (ESOC) in Darmstadt, Germany, and also includes the ground stations and communications network; and the Science Operations Centre (SOC), based at the European Space Astronomy Centre (ESAC) near Madrid, Spain. “With this successful review, we confirmed that the JUICE ground segment is on track to deliver the great science expected by the community,” said Olivier Witasse, ESA JUICE project scientist. The review board verified that the mission requirements for the ground segment, including operations of both the spacecraft and payload, are fully met. Special attention was dedicated to the specific needs of the instruments that are part of JUICE’s payload relevant to all phases of mission operations, from calibration measurements during the long cruise phase to the challenging operations in the Jupiter system.